This pipe is used with Bravo drives or King Cobra drives. It's short design allows for thru transom exhaust tip hook-up. 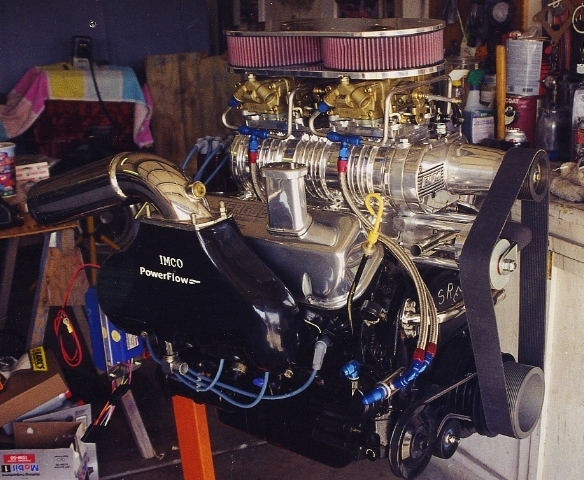 This system has a 10% horsepower increase and 40-50 foot pounds of torque on stock engines. All Powerflow systems are available fully polished. 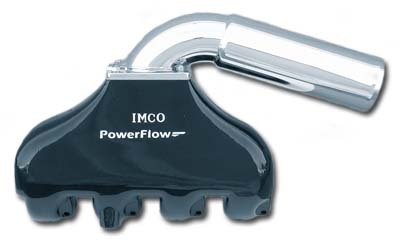 Powerflow manifolds are manufactured using the finest materials and most advanced techniques available. The high quality aluminum manifold castings feature water jackets that surround each exhaust passage, including the port, to eliminate the possibility of burn out. The outside manifold surfaces are then coated with the highest quality epoxy powder coating available, creating a part that not only is highly corrosion resistant, but good looking as well. Features an external fitting to accept stock MerCruiser thermostat plumbing.